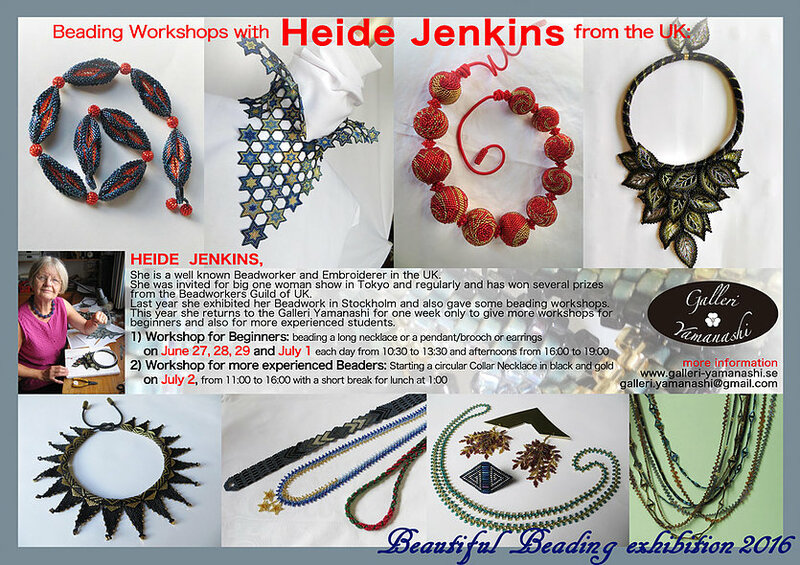 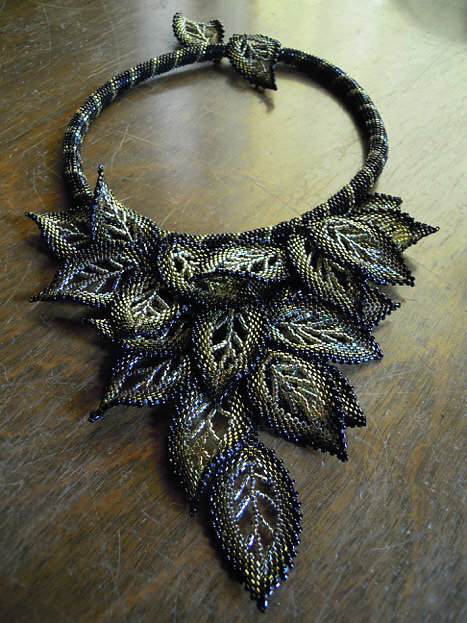 HEIDE JENKINS is a well known Beadworker and Embroiderer in the UK. 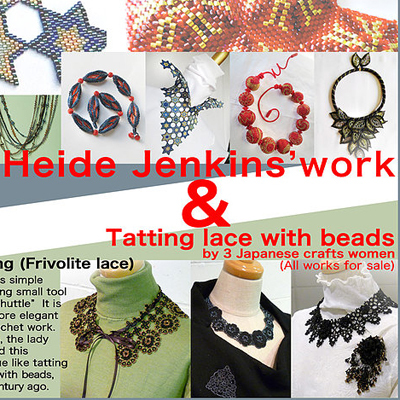 She was invited for big one woman show in Tokyo and regularly and has won several prizes from the Beadworkers Guild of UK. 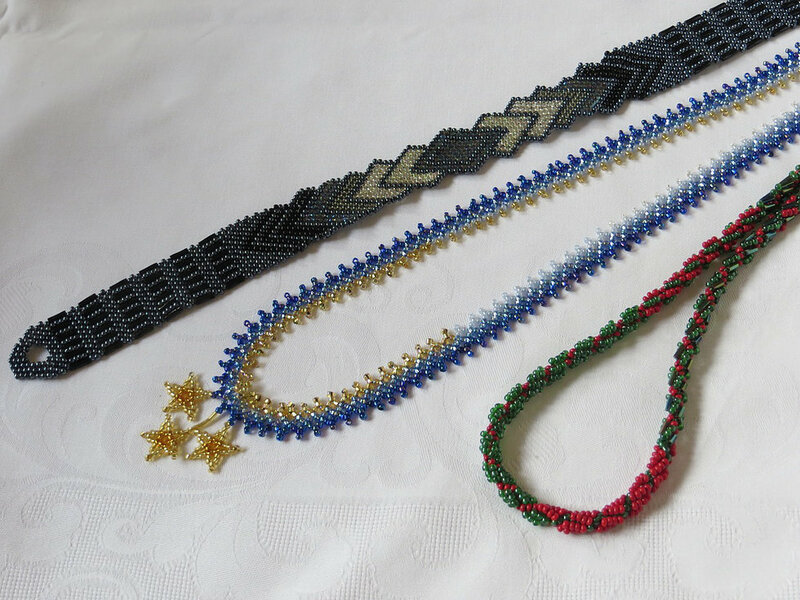 Last year she exhibited her Beadwork in Stockholm and also gave some beading workshops. 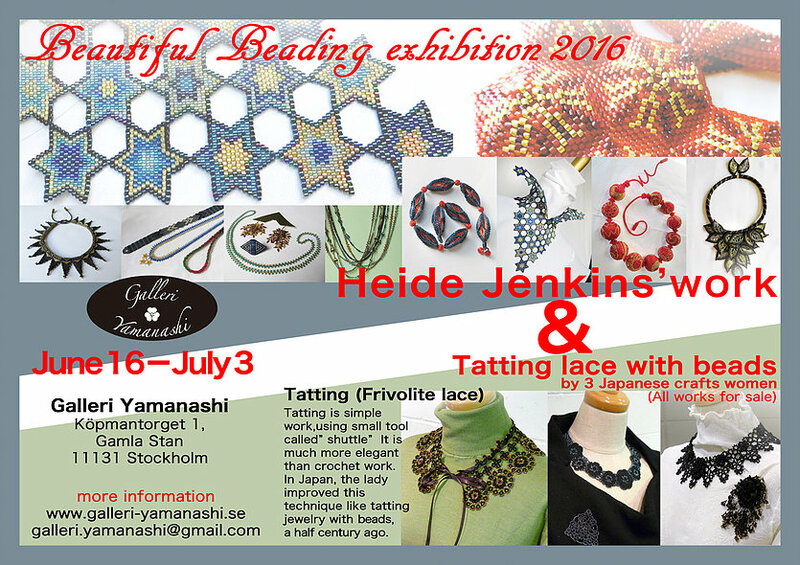 This year she returns to the Galleri Yamanashi for one week only to give more workshops for beginners and also for more experienced students.